Unfortunately, although four team members (Tim & Laura Roberston, Matt Ogden and Lizzie Ingham) along with the manager are now esconced at Auchnahillin Holiday Park just outside Inverness, the initial stages of the teams WOC preparation have been somewhat disrupted by the other four team members (Gene & Renee Beveridge, Imogene Scott and Shamus Morrison) all having flights to Scotland through Amsterdam cancelled due to bad weather. Shamus finally arrived late on Sunday night after managing to get a flight to Edinburgh and then the train to Inverness, but it will be another 24 hours before we have a full complement, with Imogene arriving mid-afternoon Monday, but Gene and Renee not until late Monday night. Coach Jean Cory-Wright also arrives Monday afternoon. Nevertheless preparations for those who are here have started, with a run on Craig Leath on Sunday morning. On the map the topography looks very similar to what can be expected in Darnaway for the middle distance and relay, but in reality some of the small single contour hills and depressions were quite vague and easier to pick out from a distance than when much closer. This caused a bit of frustration although Lizzie, who has been here for 10 days suggests (hopes?) that things will be more obvious on Darnaway. Tim, Matt and Lizzie supplemented this with an evening run around Loch an Eilien just out of Aviemeore, while the team manager attempted to sleep of jet-lag in the vehicle. 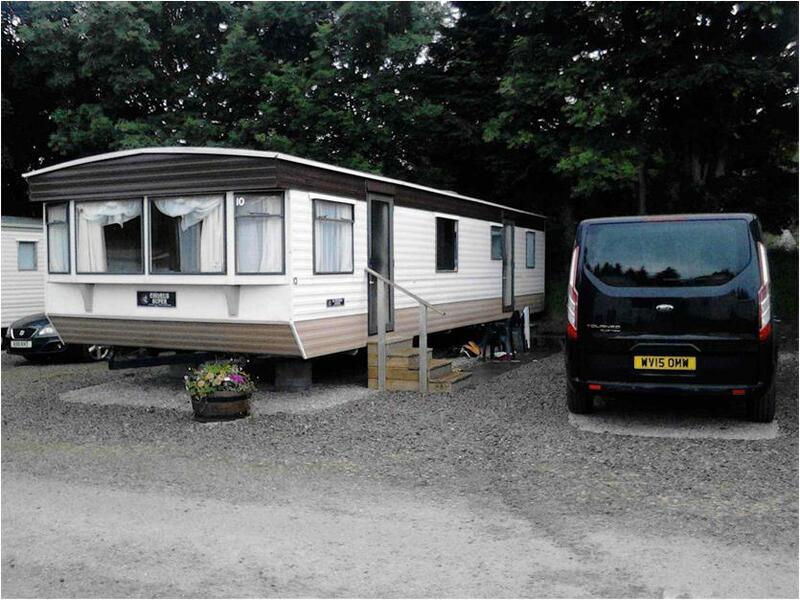 Current accommodation is in 2 large on-site caravans, which apart from the twin rooms having about 50cm between the beds, are very comfortable. It looks like we got an upgrade on the main vehicle too – a large black Ford 8-seater van – which looks a bit empty at present when only half filled. Today different team members will have a variety of options. For those who want it, we have a short morning sprint-interval session in Dingwall – the centre of which is typical of Forres and Nairn where the sprint and sprint-relay will be. There will then be a forest session and monster watching, again for those interested, on Achtermarack down the west side of Loch Ness. We also have 6 start times reserved in an evening sprint race in Inverness for a last race-simulation for the sprinters.